From the Reutter Porzellan World of Beatrix Potter collection. 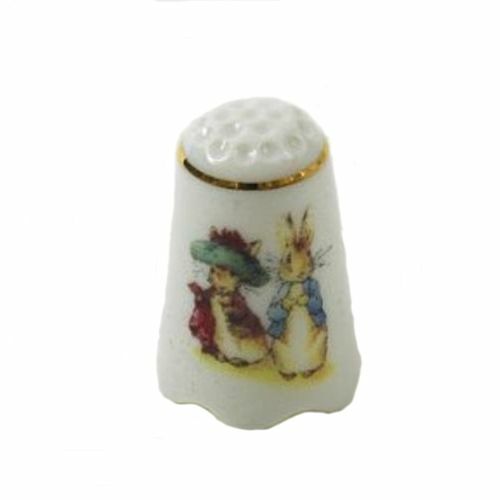 A delicate white porcelain thimble with a gold-painted rim from an exquisite collection of childrens tea sets and collectables based on the works of Beatrix Potter. This wonderfully traditional collectors piece is decorated with a scene from Beatrix Potters classic childrens book, The Tale of Peter Rabbit.